This morning we painted from the garden patio of our hotel in Siena. The hotel is the former palazzo a nobleman bought for his young wife who couldn't bear to leave Siena. The view from the patio looks out at the countryside. After our painting session we all went in different directions to explore. We found an art supply shop and found some products for watercolor painting that we hadn't found in the U.S. A really cool pen for masking fluid, some paintbrushes with handles shaped for gripping, erasers and pencil sharpeners that ride on the top of your pencil. 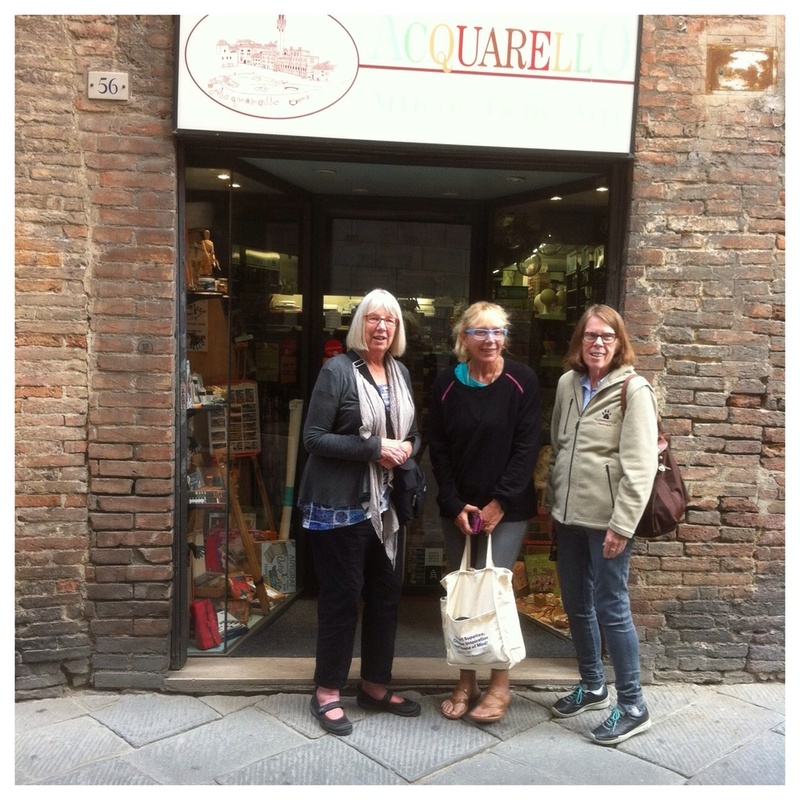 The name of the art supply shop is Acquarello (which means watercolor in Italian) and Eileen, Marianne and Ruth posed in front of it. I am very impressed with the styles and designs of Italian purses available in the shops in Siena. In addition to art supplies I have been motivated to purchase a few.